I wish I could erase a word from your vocabulary. That word is perfection. I know I am being dramatic here and it’s not really the word I want to erase, but I do want to erase the baggage that comes along with it. Heres the thing – whatever you’re doing will never be “perfect” until you try it out in real life with real people. So heres my favorite motto: Imperfect action is better than no action. Taking lots of imperfect action is what gets us new clients and new business. I want to share a success story to inspire you to imperfect action. Last month I was teaching the art of mastering enrolling conversations on a coaching call. I gave a participant a basic script for what to say in a sales conversation. Instead of waiting months to get the script perfect and after almost “wimping out in the last moment,” she leapt into imperfect action right away and used the script with a prospective client. She stayed open and relied on her curiosity to get connected to her prospect. And by the end of the conversation, it was her prospect who asked if she had any packages she could offer her! YES, this imperfect conversation turned into her client committing to working with her for the next 5 months. This imperfect action not only resulted in a long-term client, it also renewed her confidence in her business and her ability to enroll other prospects into her business. “Perfection” Is Not A One Time Event – Its A Process of Trial and Error: Try something out (such as a sales conversation script), learn from every time you use it, and make an improvement every time. Celebrate All Victories: By trying to be perfect all the time, we forget the small things we accomplish. Instead of just focusing on the things she forgot to do, I asked my client to celebrate the fact that her client ASKED for her services. What a great success! If you’re a perfectionist and my ode to imperfect action inspired you, I’d like to ask you to share an imperfect action you’re willing to take in the next 7 days in the comments below. – eliminate the distractions and interruptions that are stealing your time and energy? – say NO to low-priority tasks you shouldnt be doing? Heres the SINGLE most powerful technique Ive discovered for getting started with reducing the time wasters in your business (which could be stealing anywhere from 50% to 80% of your time!). Are you ready to take the challenge, and use this for 3 days? I guarantee if you use this resource (instructions are inside) for 3 days, the way you think about time in your business will be transformed. Its transformed my business and that of many of my clients. Let me know your questions, insights – and your results (!!) in the comments below. This shift is going to help you get unstuck from your current income level and breaking through invisible ceilings to significantly increasing your revenue. A big mistake many of you are making is you’re either not setting your income intention at all for 2010, or you’re not setting it high enough. Were going to solve this problem with the Big Income Shift. Its very simple, and were going to do it together right now. (1) Start by writing down your income goal for 2010. Get out a pen and write it down somewhere where you can see it. If you havent planned your income goal for 2010, then take a moment to choose a number that feels right to you now. In fact, if you’re at this point in the year and you don’t already have a clear income goal formed for 2010, then committing to an intention is already a shift for you. I have a question for you. Most business owners approach the new year with a plan to try to maintain the same income they had the year before. Or the set a goal that is slightly higher. Heres the problem – if you set a goal thats the same or slightly higher than last year, you’re not going to expand your business! If you want to have a big shift in your income, you have to set a bigger goal for 2010! (2) OK, do you have your income goal? Now what I want you to do is double it. So if your income goal is $50,000, then cross out $50,000 and write down $100,000. If your goal is $100,000, make it $200,000. If your goal is $200,000, make it $400,000. How does it feel to expand your income goal so much? Do you feel some excitement? Do you feel some fear too? If you’re feeling some fear, thats good, it means you’re pushing out of a comfort zone. If you’re totally comfortable with your current goal, its too low. Would you be able to do this level of income? Could you save money toward a house? Could you radically reduce any debts? Now this idea of doubling your income right now might seem like a fantasy. But by trying on this new level of income thinking, youll be able to break through any limiting beliefs or old ways of thinking that held you back in 2009. I want to give you an example of one of my clients. We did this exercise, and at first he was a little shell-shocked by the idea of doing this big income shift. But in just one session, we were able to map out how he could change his services and his business model to give his clients a lot more value, and how he could serve a lot more people too. He also started thinking about high-level partnerships he had never thought of before. All of these possibilities for expanding his business opened up in one conversation. And it all happened by making this one shift in his mind. So the Big Income shift is the first step is to significantly increase your income goal in 2010. Because when you do, youll start to attract the people, the ideas, and the resources to make it happen. Can you imagine if all of us on this call made a huge shift to our income goal right now, and we worked together to help each other achieve it? We would all be able to chart a course for doing business in a bigger way, and be bold about helping a lot more people. When you begin to make this big income shift, your confidence grows, your income begins to grow and accelerate. And yes, it feels great. 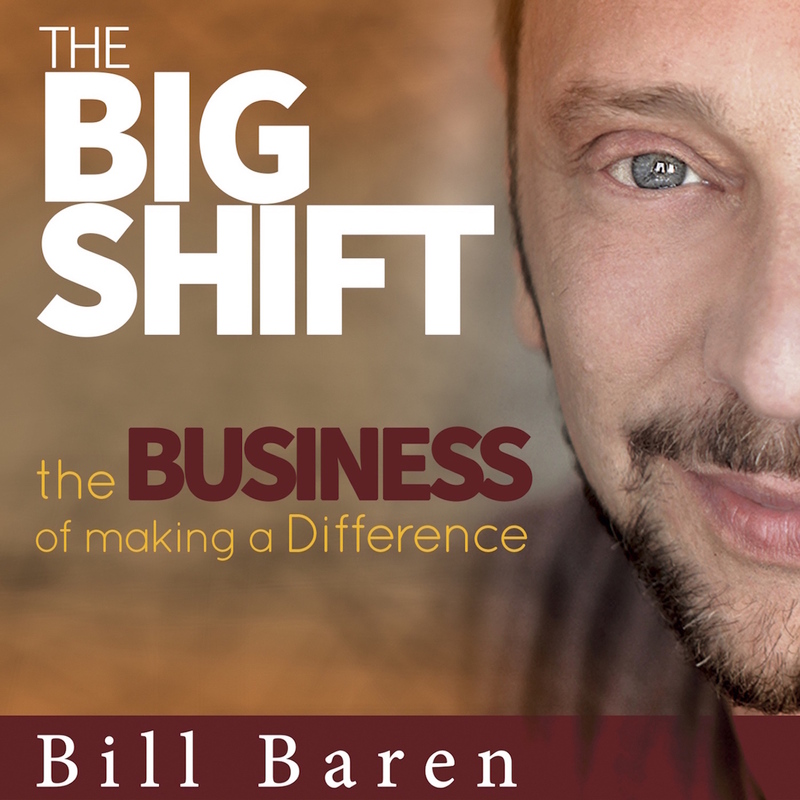 Now if you want to turn your Big Income Shift into reality, join us for The Big Shift Experience LIVE event in San Francisco! I am really excited about the new coaching program I am creating to help people get more clients for their business, and I would really love your input on the name before we finalize on just one. I think I am just too close to it and because I value your opinion so much, I wanted to ask you to share your thoughts. So here are the 3 names my team and I have come up with so far. Which one do you like best? And if you think of a better one, Id be very curious to hear that too! Please comment below with your vote. Cant wait to hear your input. One of my wonderful clients has quit her job. She is delighted at the prospect of devoting herself full-time to her business and her life’s work. She was arriving at the last big staff meeting, at her now past-employer’s, with the intention of breaking the news of her departure to most of her colleagues. How will they react? Will they be supportive of her pursuing her dream? She was pleasantly surprised to find that the staff meeting was actually a farewell party for her. Everyone was supportive and encouraging. She was touched. Yes, she is taking a risk. Yes, working for yourself is a scary unknown. Goodbyes have never been easy for her. She now saw that this was less of a goodbye and more of a hello to a new beginning. Most people make changes in their lives when the pain of their current situation becomes greater then the fear of making a change. People go as far as to sabotage their circumstances in order to create more a compelling excuse to finally make a move. What my client did was extraordinary. She followed her heart and intuition to make a significant change. She did that, rather then wait and then need to escape the increasingly intolerable situation. She went towards the life awaiting her rather then running away from a life that wasn’t working. As a result, she now has all the tools, a great network and plenty of energy for her new venture. Her colleagues saw that she is leaving from a place of integrity. Her co-workers sensed that she is leaving towards the bright light of possibility. They now have that bit of that hope of something bigger in them, too. When we take courageous bold steps towards the life that is calling us, we empower ourselves to create success on our terms and we empower others to follow in our footsteps. Our calling can be a subtle whisper. Our calling is sometimes a tap on the shoulder that appears out of nowhere. Our calling is a nagging dissatisfaction with our present situation. Why is it a calling? Perhaps it is a calling because we are supposed to answer. What do you often dream about, but haven’t even shared it with others? What’s too scary to even contemplate?